What are persistent links? Persistent links can be used to direct your students to specific resources in Freel Library databases. These links can be added to your print or online syllabus, pasted into a Canvas course page or sent out via email. Not only do persistent links contain the information that takes the user to a specific book, film or article, they also contain information that allows the database provider to verify the user’s right to access the information the link takes them to. The persistent link and the URL in the web browser address bar at the top of the page are not the same. Using the link in your address bar will cause broken links and student frustration. The directions below will help you find the persistent link for materials in a number of our most popular databases. Canvas does not work well in Internet Explorer. We recommend that you use Firefox, Chrome, or Safari. Ebook Central: The URL for an ebook can be found on the left hand side of the screen under the image of the book's cover where it says "Share Link to Book." The URL presented can be copied and pasted into Canvas. If you wish to direct someone to a specific chapter or page, navigate to that chapter or page and look for the link icon on the toolbar above the text. The URL presented can be copied and pasted into Canvas. EBSCO: EBSCO provides a Permalink for each citation in its databases and the Search Everything tool. You will find a list of Tools on the right side of each citation page. Click on Permalink or the Permalink icon (a two-link chain) and a persistent link address will be generated and displayed above the article title. You can then copy and paste this link in your syllabus, Canvas course page or an email. JSTOR: JSTOR provides a stable URL on each article page under the title of the journal and the publisher information. Copy and paste the stable URL to your Canvas site. Gale Databases: The persistent link, or bookmark as Gale calls it, for each citation is found next to the search box at the top of the page, where it says "bookmark." LexisNexis: In the upper right corner of each LexisNexis article, you will see several icons, including those for printing and emailing the article. Click on the chain link icon. A box will pop up with the title of the article in blue. Right click on the title and choose Copy Shortcut or Copy Link Location. Then paste the information into your Canvas course. Films on Demand: The easiest way to provide a link to a Films on Demand film in Canvas is to use the Canvas LTI tool. Pull up a course page and click on Edit. You’ll see the Films on Demand icon in the editing menu bar. A box titled Embed content from Films on Demand will appear. Enter your search terms (keyword or title). Each item in the results list will have a blue Embed box on the right. Click on it, then click on the Canvas Save button. A play box will appear, with the title of the film at the top. Using the Library:All library modules included - does not include all quizzes, only a pre-test and post-test. First Year Experience: This covers finding books, finding articles (basic), finding information on the internet. plagiarism and academic integrity, and crediting sources. It includes a pre-test and post-test. You can import all the modules or just the ones that you need. 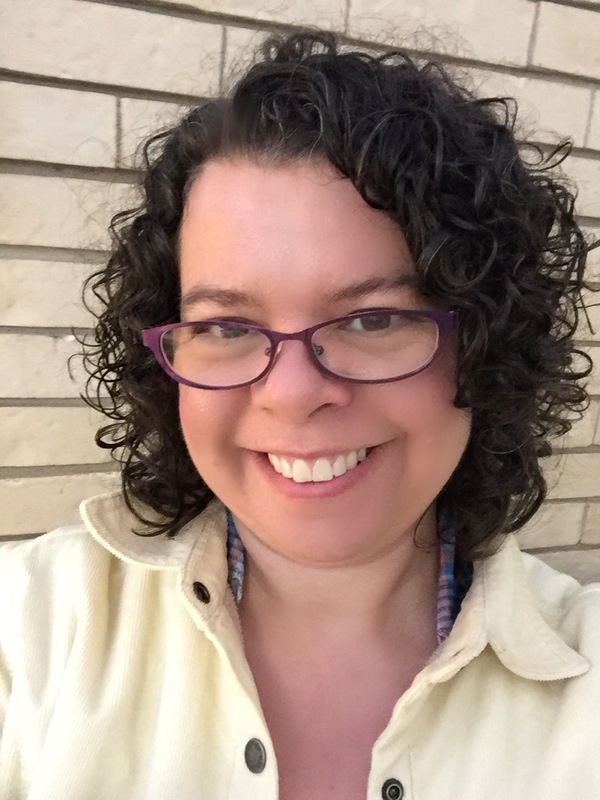 If you want a module to cover something that is not already here, contact Pamela Contakos. To find the modules, go to Canvas, choose Commons on the left hand menu, and then choose "shared" at the top of the screen. For screen shots on this process see this page. Contact Academic Technology if you need help importing it into your course. 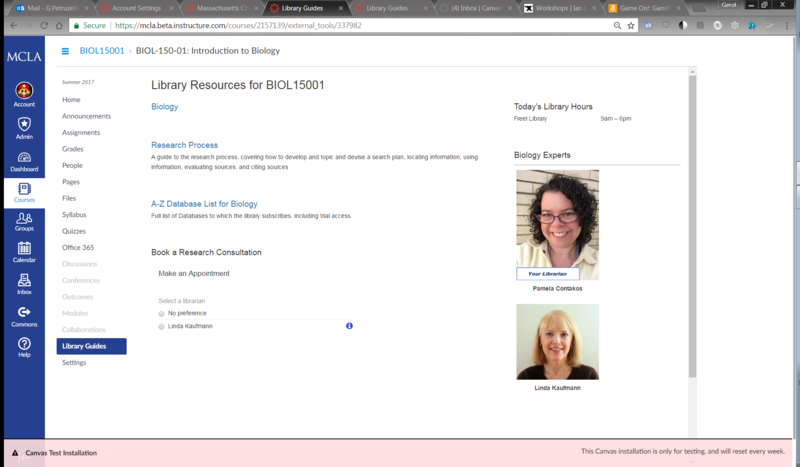 There is a library link added to your Canvas course by default. This link displays library resources specific to your subject area. Don't see one that fits? Want one for your specific class or an assignment? Contact us and we'll be happy to create one.